Can I Add That Clause to My lease? With hundreds of thousands of landlords across the United States, there are few tenant issues that haven't been encountered by someone, somewhere, at some time. And out of those experiences come new lease clauses. At the very least, rental agreements or leases – terms we use interchangeably here – cover dates, rent and security deposit amounts and who pays utilities. Clauses modify and expand those basic terms, just as they do in any contract. A clause can be a short sentence setting out a rule about parking. It can be a complete addendum that lists requirements, and any no-nos, for the handling of trash and recyclables. 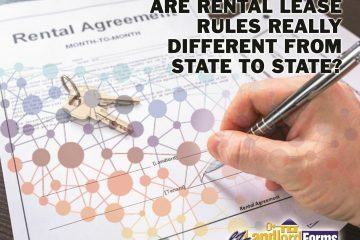 Are Rental Lease Rules Really Different From State to State? Did you know that if you are a Pennsylvania landlord with a tenant who hasn't paid rent – and your written lease agreement states that no notice is required to evict for non-payment of rent – that you can legally start the eviction process without sending your tenant a notice? Yes, that's allowed by Pa. law. But you'd better not try that in the adjacent state of New Jersey. 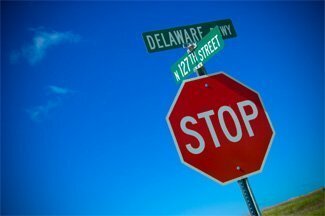 Rights of tenants in the Garden State cannot be waived. 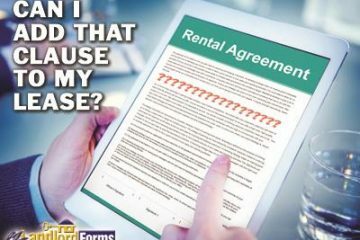 A N.J. lease agreement that declares tenant rights are waived, even if the tenant signed the lease, is unenforceable. It has been more than five years since the federal law on assistance animals got its last major revision; yet, landlords continue to send questions and comments on the topic to our chat, email and online forums. Admittedly, it was a dramatic shift, requiring rental property owners who had traditionally banned dogs and other animals to accept tenants with assistance animals. Even landlords who welcomed pets have been scratching their heads over new guidelines on animal deposits and fees. Doubtless, some of the confusion stems from additional rules that individual states set on assistance animals in rentals. Canada's provinces have also set their own guidelines. But basic questions also surround what, exactly, an assistance animal is. So, here is our primer on the definitions, the rules, and the sources for more information on assistance animals in rental units. Since the 2008 housing crisis, foreclosures have dropped to normal levels. The current national foreclosure rate, 1.4% of all homes with a mortgage, is the lowest it has been since March 2008. Thirty-six states have a foreclosure inventory lower than the national mean, one of which is North Carolina, with a foreclosure inventory of just 0.08%. But in August 2015 North Carolina passed a bill to protect tenants living in properties facing foreclosed. 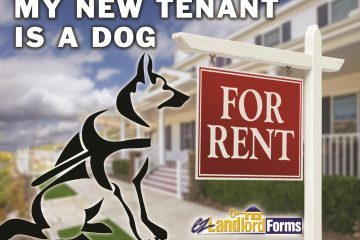 A new law in Hawaii has opened the door for landlords to better protect their properties while allowing pets, addressing the needs of both pet-owning tenants and landlords. Section 521-44 of the Hawaii Revised Statutes now allows landlords and property managers to collect an additional security deposit to protect against pet damage. According to U.S. Pet Statistics (a website maintained by the Humane Society), 47% of U.S. households have at least one dog. 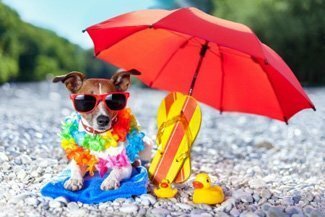 On O’ahu, pet ownership is particularly high: the Humane Society estimates that over 60% of households include pets (there is limited data on pet ownership for the other Hawaiian Islands). Prior to November 1, 2013, a landlord could only collect a maximum of one month’s rent to cover any damage created by a tenant, including damage inflicted by the tenant’s pets. The only way for landlords to avoid liability for damage caused by pets was to simply ban pets altogether (a difficult proposition, in areas with 60% pet ownership). Landlord-tenant laws vary from state to state and province to province, but there is one law with some degree of uniformity – the implied warranty of habitability. Under the implied warranty of habitability law, landlords have an obligation to make all repairs and do whatever is necessary to put and keep the premises in a fit and habitable condition, and to keep all communal areas of the premises in a clean and safe condition. A Bergen, New Jersey landlord was held responsible for injuries to his tenant who slipped and fell on ice at the bottom of her apartment building’s front steps in March 2010. 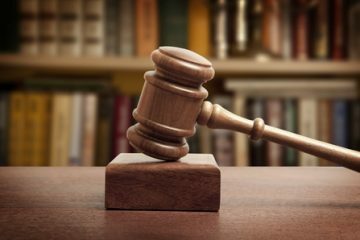 The tenant broke her shoulder and hip, leaving one leg shorter than the other, and the landlord was sued for $1 million. 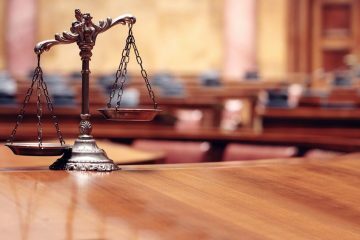 The jury recently rendered a decision to compensate the 59 year-old unidentified plaintiff for pain and suffering, loss of wages, medical expenses, and permanent injuries. 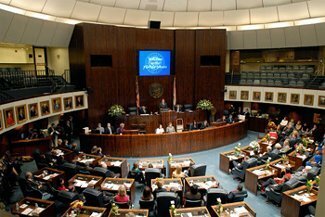 As of July 1, 2013 many changes were made to Florida’s landlord tenant statutes. On June 7, 2013, Governor Rick Scott signed into law under CS/HB77 for some of the most comprehensive changes to Section 83 Part II of the Florida Residential Landlord-Tenant Act. Below is a summary of many of the changes. Attorney Fees – Previously, the Act provided that in a lawsuit regarding the enforcement of the lease/ rental agreement provisions or the Landlord Tenant Act that the prevailing party would be entitled to attorney fees. Under the new statute, the text clarifies that in cases where a person is injured on a rental property; attorney fees WILL NOT be awarded. Additionally, for lawsuits that do not involve personal injury, a lease may not permit the landlord to force tenants to waive their rights to attorney fees. Security Deposits/Advance Rent – There was no clarity in the previous law whether or whether not a landlord had to notify a tenant if the bank (where the tenant’s security deposit was held) had gone through a name change, was sold, or merged with another financial institution. As of July 1, 2013, it is clear that a landlord is NOT required to notify a tenant of these changes. A new amendment to the Arizona Residential Landlord and Tenant Act is designed to protect tenants from landlord foreclosures, and adds more legal liability to the landlord… again. Three years ago, in response to the housing market crash and foreclosure wave, an amendment to the Arizona Residential Landlord and Tenant Act required landlords to give their tenants written notice when the property was in a state of “potential foreclosure” at the time the rental agreement contract is signed. This was intended to protect tenants from moving into properties that were in the process of foreclosure, so that they would not be taken by surprised and forced to move. Now landlords’ responsibility (and liability) is being expanded by House BIll 2281, which is in the process of being enacted into law by Arizona legislature. 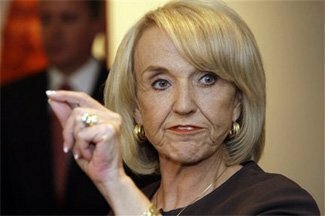 Governor Jan Brewer signed the bill last month after a bustle of new laws were passed at the end of the legislative session ending June 14.